Inline assembly code is common in system software to interact with the underlying hardware platforms. Safety and correctness of the assembly code is crucial to guarantee the safety of the whole system. 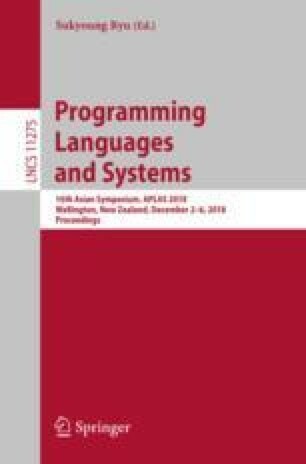 In this paper we propose a practical Hoare-style program logic for verifying SPARC assembly code. The logic supports modular reasoning about the main features of SPARCv8 ISA, including delayed control transfers, delayed writes to special registers, and register windows. We have applied it to verify the main body of a context switch routine in a realistic embedded OS kernel. All of the formalization and proofs have been mechanized in Coq. This work is supported in part by grants from National Natural Science Foundation of China (NSFC) under Grant Nos. 61632005, 61502442 and 61502031.